The news of Chrome 51’s release has certainly not been a secret. Rumors and details have been scattered across the web for months now. If you head over to Venturebeat you can find the latest, very extensive list of MOST of the goodies coming to Google’s newest rendering of the world’s most popular web browser. One of the notable additions is Credential Management API. I won’t bore you with the details of that but essentially it makes it easier for developers to access Chrome’s credential management system allowing the user to login more quickly across a wider range of sites. Another noteworthy addition, Google will reduce off-screen rendering. In my humble opinion this is a HUGE update to the Chrome environment across the board. Google has stated that this could reduce power consumption by up to 30%! That’s a definite win for mobile browsing which is where the majority of consumers spend there time. Chromebooks, which are already touted for long battery life, can only benefit from this update. Also included are 42 bug fixes and a plethora of developer enhancements. Chrome 51 began rolling out for Windows and Mac Wednesday. Chrome OS and Android versions coming soon with the addition of Google’s material design project as well as…WAIT FOR IT…native display link support for USB display adapters. Check out the full article from Digital Trends below. What do you think? I think Google is doing a great job of staying ahead of the curve. 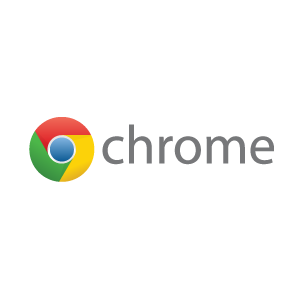 Let us know what you’d like to see in upcoming releases of Chrome.